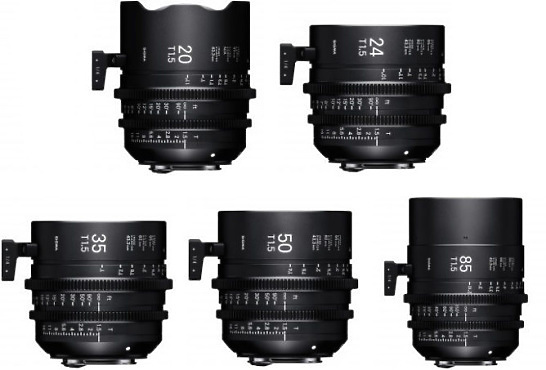 Leveraging the high-precision, high-efficiency mass production technologies developed for its still camera lenses, SIGMA has made extremely lightweight and compact cine lenses a reality. Featuring all functions essential to cinematography, these lenses keep weight and size to a minimum, while their specification is optimised for enhanced durability. The end result is a combination of performance and compact design at the highest level. The High-Speed Zoom Line is compatible with Super35, the image size standard used by typical digital cinema cameras, while the FF High-Speed Prime Line and FF Zoom Line are compatible with a full-frame image circle. T1.5 is available in FF High-Speed Prime Line, while the High-Speed Zoom Line achieves T2 throughout the zoom range. These options enable cinematographers to shoot with a wide range of expressive purposes. 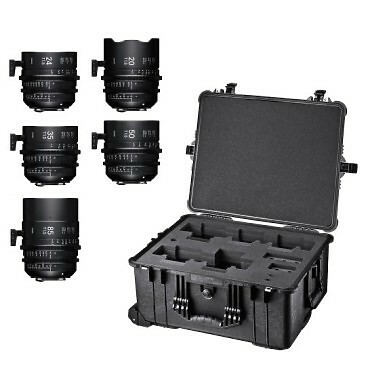 Hire the Sigma High Speed Prime Lenses PL - Set of 5 from Procam. Best service and rental rates for the Sigma High Speed Prime Lenses PL - Set of 5 and all cameras, lenses, sound, lighting and grip.